Vermont’s legislature on Monday approved a bill that would decriminalize the possession of small amounts of marijuana, a measure the state’s governor expects to sign into law in the coming weeks. The move sets up the New England state to be the 17th in the United States to remove criminal penalties for having small amounts of pot. It does not go as far as Colorado and Washington, which in November became the first states to legalize possession, cultivation and use of marijuana by adults for recreational use. Vermont’s House of Representatives on Monday gave final approval to a proposal to remove criminal penalties for adult possession of up to one ounce (28.3 grams) of marijuana and instead penalize with a civil fine, similar to a traffic ticket. Persons under age 21 caught with pot would be required to undergo substance abuse screening. The House’s action upheld changes to the bill last week by Vermont’s Senate, including a provision that decriminalized possession of up to five grams of hashish, a potent pot derivative. Currently in Vermont, possessing up to two ounces of pot is a misdemeanor punishable by up to six months in jail for a first offense and up to two years in jail for later offenses. The measure was introduced in early February by state Representative Christopher Pearson of Burlington, with 38 co-sponsors from the Democratic, Republican and Progressive parties. A similar proposal also was introduced in the Senate. The latest proposal is similar to “decriminalization” laws in California, Connecticut, Maine, Massachusetts, Nebraska, New York, Oregon and Rhode Island, where private, non-medical possession of marijuana is treated as a civil, non-criminal offense, said NORML, a group that supports marijuana legalization. Five other states — Minnesota, Mississippi, Nevada, North Carolina and Ohio — treat marijuana possession as a fine-only misdemeanor offense, NORML said. 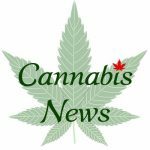 Alaska also imposes no criminal or civil penalty for the private possession of small amounts of marijuana, after action by its state Supreme Court, said NORML. Vermont already had legalized pot for medical use in 2004.